I’m often asked to speak to college students about career development and success. One of the main topics of discussion is networking. I tell the students networking is the number one factor that will determine their career success. Because it’s not who you know, it’s who knows you, right? In Jeffrey Gitomer’s book, Little Black Book of Connections, he provides incredible insights into the art and skill of making connections. 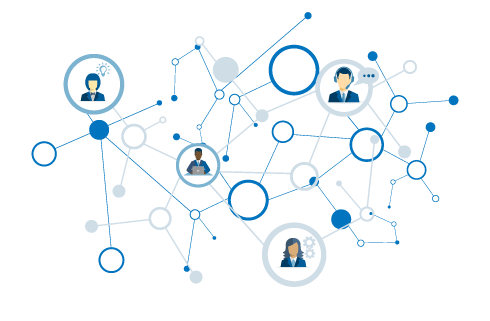 Connecting is all about your friendliness, your ability to engage, and your willingness to give value first. The secret, Gitomer says, is to allow the other person to benefit first. 17 strategies, guidelines, and rules of connecting. 2. Protect your self-image in a way that breeds confidence in others. 4. Your consistent positive attitude will breed positive responses and positive results. 5. No connection is made without some form of risk. 6. 90% of success is showing up prepared. 7. The less you focus on your motive to meet, the more likely it is that your connection will be successful. 8. Take a genuine interest in other people before you them to take a genuine interest in you. Ask good questions! 9. The sooner you can find something in common with the other person, the sooner all the barriers will disappear. 10. The higher up the ladder you go, the more cautious people will be of your advances. 11. Your projected image will often determine your ability to make a real connection. 12. People judge you by every action you take. 14. Transfer your message with excellent communication skills. 15. Staying in touch is more important and more valuable than making an initial connection. 16. Since you don’t know what day a powerful connection will be made, you must be ready every day. 17. Your present reputation determines your future fate. but they aren’t easy. So here is some closing advice. Talk real. Act real. Be real. Being you is more than enough. And when you’re comfortable being you, you’ll find others will do the same in return. He is our assistant vice president and general sales manager. He's a fearless leader and is guaranteed to make your day better when you see him. Corey's role is essential for supporting our clients and other sales representatives at Huddle, and he has a passion for leading others and cultivating relationships. Throughout my interview with him you'll see how apparent his love for Huddle is. How does my work directly impact brands? I help guide brands through the high school and local marketing world. I position them in the space where they can directly reach their core customer and the communities that impact their business. The marketplace we are in can be challenging to successfully navigate, but as the experts, we're able to find what is right for the customer. Outside our core product offerings, we often custom-build powerful, grassroots opportunities for brands that engage the audience. Sometimes it can be hard to stand out in such a saturated market, but we move our clients into a position that benefits them. We always do business in a way that is organic and different to build relationships so our clients trust us and are confident in our ability to serve them. How do I directly impact high schools? Every program we sell provides value to a school. Whether it’s Huddle Tickets providing free admission tickets which saves schools’ money or a competitive pledging program that promotes graduation, every program engages a school while benefiting the brand and fans too. What is my favorite part of what I do? Problem-solving. Sometimes it feels like we are climbing Mt. Everest during our sales journey, but the end result is powerful and rewarding. Experiencing the journey with people you work with, who are more like family, is so much fun. Corey has perfected the art of cloning. His daughter, Margot, is a spitting image of him. She is our AVP of Customer Experience, and she couldn’t be more perfect for the pivotal role. She is the heartbeat for our customers and strives to ensure every client has the same positive experience with Huddle. Heather and I sat down and reflected on how her role impacts both our brands and our schools, and it is clear she is passionate about the work she does at Huddle. It is our job to make it easy for the brand to position themselves within the high school marketplace and the community surrounding it. We make this easy for our clients, saving them bandwidth while helping them achieve community partnerships. We want always want our clients to look good and feel good! Our goal is to ensure our clients have a great experience so they continue to work with us and continue to serve more schools. If we continue to provide our clients with a wonderful experience, they will choose to not just pay a fee for our services but will see it as a partnership with us over multiple years. A returning community partner is in the best interest of the school. If I provide the right clients with the right experiences, then the schools and fans get the brands they want, including the ones that make the most sense for them. Another way my work directly impacts high schools is by serving the school first no matter what, and then finding the best suitable brands to partner with those communities. What are the key moments of interaction with clients? We want to make the biggest impact on a client while asking them to do very little. It is our priority to make sure a brand has a smooth on-boarding process and to have proactive communication. This helps us provide answers to potential questions up front so our clients spend less time asking. Client gifting is also one a key moment with some of our clients. We want them to know we consider our relationship with them as a meaningful partnership and not just a transaction that happens once a year. It’s hearing the emotional response clients give us when asking for feedback. If our clients’ program success makes someone look good in front of their boss, it is the best feeling ever! We know Huddle Tickets works, but sometimes it’s hard to measure those feelings of success from the client. When we do customer experience interviews and sense the excitement in their voices or receive tangible feedback like thank you notes, it’s priceless. "We earned almost 5 times more than what we put into the test." "Effective. Targeted. Unequalled. Huddle Tickets delivers what it promises." "Huddle gives CITGO a local voice, making a significant impact for us." Have you ever wished you could multiply your time? I know I have. From working crazy hours to fitting in everything else important to me, there have been many scenarios where I just wanted more time. But what if I told you it was possible to multiply time? Would you believe me? Well I have good news. It is possible… sort of. Procrastinate on Purpose is a terrific book written by Rory Vaden. The book shows us all how to multiply time. Here are the top seven insights from the book. 1. Priority dilution occurs when we delay the day’s most important activities by allowing our attention to shift to less important tasks. 2. Multipliers think differently. They are not victims. They are capable. They are powerful enough to decide what they will and won’t do with their time. But one thing they are not is too busy. 3. To a multiplier, it is ultimately only about producing their desired results. 4. Multipliers don’t just make decisions based on the here and now; they make decisions based on a perspective of how it will affect the future. This is about significance. 5. Ultra-performers multiply their time. How? You multiply your time by spending time on things today that will give you more time tomorrow. 6. You should be doing anything that is going to make tomorrow easier. a. Eliminate – The Permission to Ignore. Perfection is achieved not when there is nothing more to add, but when there is nothing left to take away. b. Automate – The Permission to Invest. Always calculate the opportunity cost. By simply realizing one purchase will simultaneously cancel out an opportunity to invest somewhere else, you will find the emotional temptation of the decision at hand almost instantly reduced. d. Procrastinate – The Permission of Incomplete. Ask, “Can this wait until later?” And if the answer is yes, don’t do it right now! Why? If you act too soon, you make yourself vulnerable to change cost. If you’re not at least 75% sure of what the right decision is – don’t make one. e. Concentrate – The Permission to Protect. Until you accomplish your next most significant priority, everything else is a distraction. I’ll leave you with my favorite quote from the book to encourage you to make the most of every day. Meet Preea. She’s a seasoned Meerkat as she quickly approaches her fourth year of blessing us every day at Huddle! Preea is a graphic designer and the artistic genius behind all things creative. 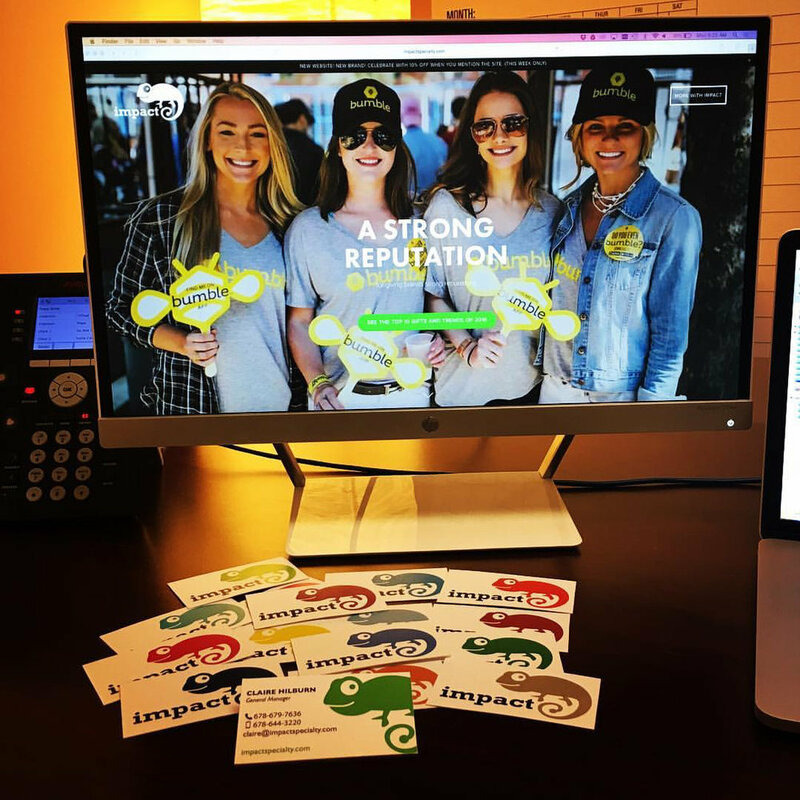 She maintains our brand standards, creates our marketing collateral with visual storytelling, supports account management, conceptualizes innovative designs, and manages the Huddle Tickets and GoFan design process. Preea is strong willed, honest, extremely talented and painfully hilarious. She supports every department within Huddle and she always exceeds expectations. Here is a recap of my spotlight interview. With every creative project, I keep our mantra of making our clients look good and feel good. I do this because we never want to put something into the marketplace for our clients that does not reflect our own high standards. My work directly impacts brands because I am responsible for executing the vision of the client and helping their ideas come to life. With every creative project, I position the client’s brand as the hero. The design process for Huddle Tickets is one way I help impact our partnering schools. By implementing our process, we ensure quality printing of the schools’ tickets that is visually pleasing and consistent with our brand standards. I also impact high schools by designing the schools’ Huddle Tickets in a way that helps the individual high school feel like they have some ownership of the ticket without it just looking like an advertisement. The designs of marketing collateral needed for a brand-sponsored program also impacts schools. Schools are more receptive to items associated with a program that are easy to display, visually interesting, and useful to them. We always make sure the programs our clients have sponsored are valuable for the school and the community. How does your role play a part in providing proof of performance? When a program is approaching the end of a school year, it is my responsibility to sit down with our account managers to go over photos, thank you notes and other appreciation items from our clients to create something that visually displays the impact that brand had on their partnering school. Proof of performance is so important for us to send to a client. It is our way to tangibly show their program is working in the community and that they are meeting a need of the school. For me, designing never feels like work and I will never get tired of doing what I love. Since you are making me pick a favorite, I would say what I love doing the most is designing and branding our internal Huddle experience. I have worked on many projects for clients and schools, but the various projects I have done for our own team is by far the most rewarding. Most of the time, I am unable to see the reactions of my designs from our clients, but when I see how people I work alongside every day react it makes my job that much more rewarding. As far as the internal experience, some of the projects I have worked on are signage and invitations for internal events, birthday cards for Huddle spouses, design creative for our various departments, new hire welcome banners and cards, Huddle Farm creative and internal website design. Preea has the cutest snaggle-toothed pup named Jax, and the meanest hissing cat named Vera. There is (more) money to be made through email marketing, so buckle up and take notes on these nine email marketing tips. These tips are sure to help you become a better email marketer immediately. Did You Use These Local Marketing Tricks for Halloween? Did you know it is the 8th-highest spending holiday in the US? Last year Americans spent 8 billion dollars on candy, costumes, and decorations. A record high! Think about it – what other holiday do people open their doors and share freely with strangers? Your brand can target consumers at the exact time and places they will be making plans and purchases for Halloween. Here are three local marketing tricks and treats for your brand. 47% of people plan to dress in costumes this year. 73% of households will buy at least one costume. 47% of consumers will buy their costumes in stores. 43% will buy costumes online. Wherever they’re purchased, online is an important channel for both inspiration and sales. Costumes aren’t just for kids – plenty of adults will dress up at work, at home and for parties. Adults will spend an average of $31.03 on their costumes and millennials will spend an average of $42.39 for theirs, thanks to the keen attention Halloween gets on social media. 28% of millennials say Pinterest is their main source for inspiration, while 23% look to YouTube. Research shows millennials spend their free time socializing in locations from trendy bars to art galleries. Create a targeting segment, based on demographic and location data, to reach them as they socialize. Your ads can serve as conversation starters, and get them excited about dressing up for Halloween. Follow up with mobile and social media retargeting during the hours they’re most likely to shop. Consumers who’ve visited your store are excellent Halloween prospects. You can use location data to find, segment and target them in real time with Halloween offers. Location data is a targeting asset for marketers to help drive creative messaging and offers. For instance, if location data shows a consumer visits a day care center twice a day, five days a week, we can assume that consumer is a parent who will be receptive to ads for children’s costumes. Other data, such as purchase history, can be used in messaging across various locations, which can lead a consumer to purchase. You can also retarget them at home via any device connected to their WiFi, including their connected TVs! October is a key time for purchasing all Halloween items, which means your campaigns should be planned, and your shelves stocked, at least six weeks prior. Parents are the ones shopping early, which means your initial target audience will be audiences likely to visit kindergartens or schools. These shoppers will be interested in costumes, candy, and decorations for Halloween-themed parties. Lots of people, college students for example, put off Halloween preparation to the last minute. Campaigns for this audience can wait until the week before. Most sales associated with parties will occur the weekend before. You can also consider real-world events in your targeting. 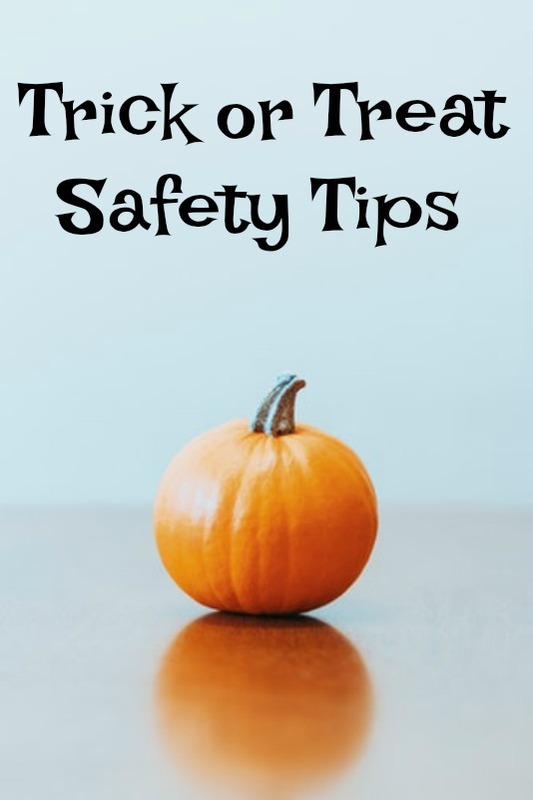 Provide useful tips and “tricks” for keeping trick-or-treaters warm, feature recipes for festive cocktails, or provide safety tips for the night of Halloween. If you were late to the game with theses tricks and treats for your local marketing strategy, no worries!! Now is the time to start your holiday marketing for the rest of the year. Regardless of the holiday, these tricks can be used for every holiday season! There, I said it. In fact, print is actually thriving and outperforming its much younger and sexier counterpart in many key areas. And you know what? It’s not even close. 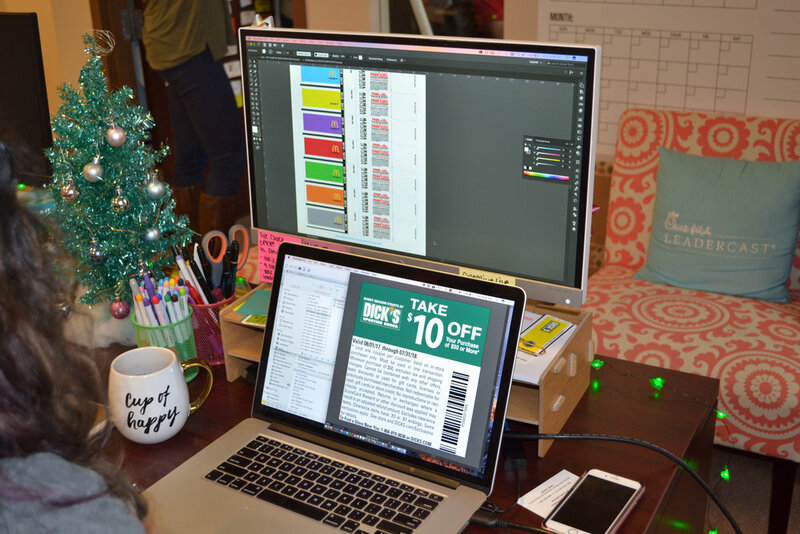 According to research released by Vistaprint Corporate, and as shared here by the good people at MarketingProfs, print’s role in today’s digitally-focused environment is still incredibly important. Check out these 9 ways print still outperforms digital. 1. A whopping 92% of 18-23-year-olds find it easier to read printed content than digital. 2. The response rate to direct-mail marketing was 37% higher than for email, a recent report found. 3. Consumers trust print ads 34% more than search engine ads for making purchasing decisions. 4. Print outperforms digital in review time. 5. Print outperforms digital in emotional reaction. 6. Print outperforms digital in memory retention. 7. Print outperforms digital in perceived value. 8. Physical print ads are easier for our brains to process than digital. 9. Effective print ads are more persuasive than digital, and they have a higher response rate too. Now don’t get me wrong. Digital still has an important place in today’s marketing mix. And at Huddle, we are leveraging both print and digital to grow our business. Our signature print product, Huddle Tickets, continues to generate significant return on investment for our valued corporate partners. These partners place a logo on the front of the high school event tickets and a traffic-driving coupon or community message on the back of the tickets. · A sports retailer drove $3mm in sales. · A QSR earned a 10.6% redemption rate. · A casual dining partner drove $5mm in sales. But we aren’t ignoring digital. Just the opposite. The digital ticketing product is called GoFan. It allows high schools to sell event tickets digitally. So now, Huddle provides its valued high school partners with a paper (Huddle Tickets) and digital (GoFan) ticketing solution. If you’re at a high school and you want to learn more about the complete ticketing solution Huddle has available for you, learn more here. And if you’re a brand and you want to increase your customer count and sales by reaching local communities throughout your geographic footprint, be sure to check us out here. Huddle is ready to help you! In marriage counseling we learn about “active listening.” One partner says, “What I hear you saying is that when I do X, you feel X.” The partner responds either with affirmation or “That’s not why I feel that way at all,” and the couple can get to work. We learn what’s important to each other and how certain actions make the other feel. Ideally, my husband and I can use this to be better partners and communicators. Client relationships are just that. Relationships. So why do we treat them any differently? The clearest way to decipher what your clients think and need is to go directly to the source. Nothing gives you a truer picture of your client’s heart. It may sound a little sensitive, but trust me, it needs to be your company’s top priority. 1. People want to be heard. If you’re a fan of the show Parenthood, you’ll recognize the phrase, “I see you. I hear you.” Nothing is more validating for a client than knowing the company they’re entrusting their budgets (and careers) to is making a proactive, concerted effort to hear their thoughts and vowing to make any possible improvements based on this feedback. All you have to do is ask. It’s win-win for you and your client. 2. Clients open up to experience managers. Companies typically rely on their sales force to regurgitate client feedback to marketing and product development. All the love to these weekday warriors, but there’s just something about a “sales manager” title that makes clients/prospects shrink back from full transparency. Having a dedicated customer experience representative to reach out to your clients will be a game-changer in how your company interacts with the people you aim to serve. 3. People buy based on emotion. End of story. You buy from Amazon because it’s easy and you have Prime shipping, sure, but that’s just scraping the surface. The root of why you buy is likely that you feel efficient, empowered, and in good hands. Your clients buy on the way they feel, too. Does your product work? Of course. It better. But do people trust you? Do you make their lives easier? Do you make them feel wise in front of their boss? These feelings will ultimately determine whether they partner with you. Take the time to invest in hearing straight from the heart of your client. Ask them why they buy, what expectations they have, how they feel you can improve, and what matters most to them. Then react! Leave their brand better than you found it and yours will be transformed, too. It’s been two weeks since I started at Huddle, and I couldn’t be more grateful for the opportunity to be a part of this family. There should have been some anxiety and uncertainty as I began my first few days, right? Wrong. The people, the job, the environment; I am blown away by the positivity at Huddle. The workplace is where we spend more than one-third of our lives, and the environment in which we work impacts we how think, act, and reflect. So, what does the environment at Huddle look like? I have always believed a work environment should be a place of positivity where you feel empowered and fulfilled. Empowerment: the idea that giving employees skills, resources, authority, opportunity, motivation and holding them responsible and accountable for outcomes of their actions, will contribute to their competence and satisfaction. Fulfillment: a feeling of happiness and satisfaction. I feel empowerment and fulfillment go hand-in-hand in the workplace. After two weeks at Huddle, I would say each person within the organization could be described using these two words. It’s quite admirable. 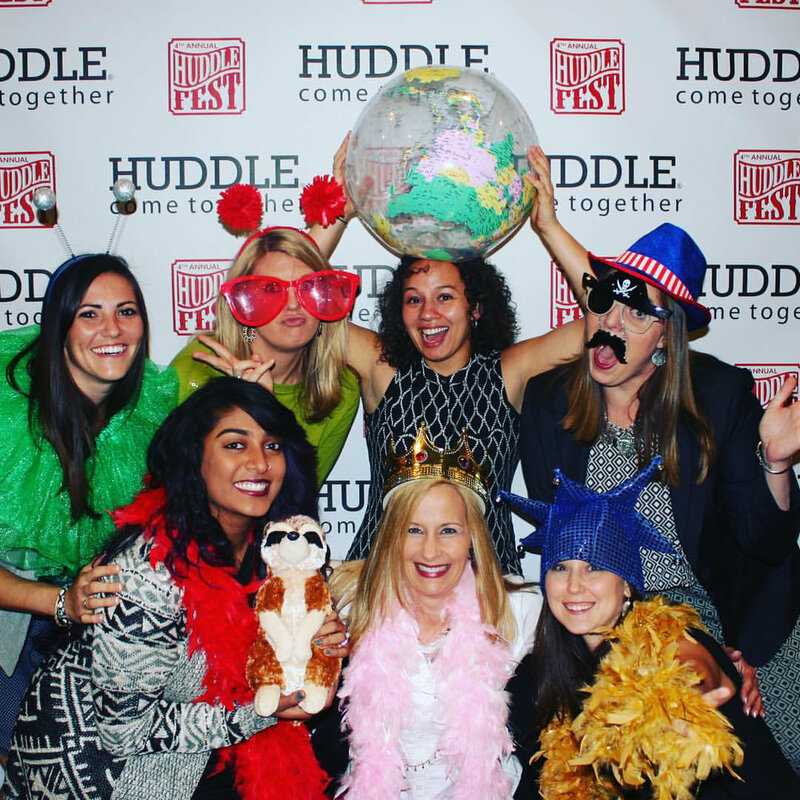 While making the transition to my new career at Huddle, I quickly began to realize I too would find myself empowered and fulfilled in my role because of my new environment. When your CEO starts off a discussion to the sales teams with scripture from Romans, you know you are a part of something special. He referred to the passage to help highlight his vision for the future of the company and his message to all of us to “Believe in the process”. I looked around me during this time and couldn’t believe I get to be a part of this family. The team leaders continued the discussion with what the future of Huddle looks like and their expectations of each of us in the year ahead, three years from now, and five years from now. This right here is an example of how Huddle believes in the process by believing in its people. How empowering is it to know you play a pivotal role in the bigger picture? For me, I feel empowered when I have purpose. My team leader has made it clear from my first day that he is confident in my ability to do great work, bring value to the team, and give new perspective to discussion. Feeling that sense of purpose has been the biggest void in my career before Huddle, but it’s empowering to know I now have an experienced leader who believes in my potential. Huddle is a place where each individual has significant purpose and values their work, while they are valued by others. I am empowered knowing my purpose on a team with an intentional leader who has given me the tools to succeed and will hold me accountable for my outcomes. As part of the onboarding process at Huddle, I sat down with every person in the company over the course of the first week. I immediately realized each person within the Huddle family is unique, yet all of them are emotionally and intellectually committed to the organization. They are engaged, they add value, and profoundly impact Huddle. I couldn’t believe each person, no matter their role, took the time out of their busy schedules to get to know me on a personal level. I think we can all find the value in our work and build great relationships, but the leaders in the workplace create a standard for the environment where we can thrive. This relationship standard among the leaders at Huddle is exemplified in everything they do. They support each other, they build each other up, and they challenge each individual on their team to perform at their greatest potential. I know I will look back on my first week and be thankful for the solid foundation that was built to start great relationships with my Huddle family. My overall experience during my first two weeks has been overwhelming in the best way. I am so excited to work alongside people who keep the vision of the future in mind, who add value, and who encourage each other in all that they do. The family at Huddle has already made me feel empowered and fulfilled. So, what does your work environment look like? Are you surrounded by people who empower you to be fulfilled? It's an interesting question, right? I invested nearly 42 years of my life without really thinking through this profound, potentially life-changing topic. There were certainly things I believed, but I had never taken the time to capture any of it on paper. But then something changed. A good friend to Huddle, Jack Williams, delivered a presentation last year that addressed his “I Believe” list. He has worked through his list over the years and reviews it weekly, allowing him to see where he is winning and where he needs work. Jack’s presentation motivated me to explore my own beliefs. Why do I believe those things? And how is my life any different because of the things I believe? This journey of discovery lead me to create my first “I Believe” list in November 2016. I continued to work through and refine it, creating an updated version in January 2017. So here’s how this works for me. I review the entire list once a week (okay, I forget some of the time), and I focus on one specific “I Believe” statement weekly. I just write the statement on an index card and place it in a spot where I can review it consistently. These simple practices allow me to consistently measure how I’m doing against the things I believe. I want to share my “I Believe” list with you in this blog post. Buckle up, because I have 52 “I Believe” statements! To be clear, I’m not asking you to believe what I believe. And it’s okay if we don’t believe the same things. We can still be friendly, right? I’m simply sharing my list with a goal of encouraging you to create your own list, review it weekly, and more closely align your actions with your beliefs. This will put you on a path to living with meaningful purpose. And who knows, creating your own “I Believe” list just may change your life too. 1. I believe that Jesus is the Christ, the Son of the living God, and He is my Lord and Savior. 2. I believe the Bible is the inspired Word of God and has complete authority. 3. I believe in growing spiritually and investing meaningful time in God’s Word. 4. I believe Jesus loves me, God is in control, and my value comes from Him alone. 5. I believe I can do all things through Christ who gives me strength. 6. I believe the quality of my personal relationship with Christ is my responsibility. 7. I believe when I align my priorities with God, He will show up in dramatic ways. 8. I believe God has called me to leadership and I should lead from the front. 9. I believe in using my talents for God and the advancement of His kingdom, with a focus on my spiritual gift of encouraging others. 12. I believe “Success” is daily living in God’s good, pleasing, and perfect will. 13. I believe I am the Spiritual leader of my household. 14. I believe in being faithful to Angie. 15. I believe in showing Angie the attention I gave her when we were dating. 16. I believe in speaking Angie’s love languages of quality time and gifts. 17. I believe in praying for Angie and my marriage every day. 18. I believe Angie wants a Godly husband. 19. I believe Angie gets much of her self-worth from me. 20. I believe that vulnerability leads to amazing relationships. 21. I believe my “Why” is to point people to truth. 22. I believe my character and integrity must never be compromised. 23. I believe in forgiveness. 24. I believe in living a life of service while listening to others and putting them first. 25. I believe in simplicity and clarity. 26. I believe in taking care of myself physically, spiritually, and emotionally. 27. I believe in lifelong learning. 28. I believe I am responsible for my actions. 29. I believe in tithing, giving, and saving. 30. I believe in living an intentional life of significance. 31. I believe in being debt free. 32. I believe in developing and practicing good habits. 33. I believe in telling people I love them and saying thank you. 35. I believe in accountability. 36. I believe in patience. 37. I believe in adding value to other people. 38. I believe people matter and investing in relationships is the right thing to do. 39. I believe words matter. 40. I believe I need to be flexible and willing to change as needed. 41. I believe in the power of goal setting. 42. I believe in the sanctity of life and that everyone has value. 43. I believe in dealing with reality. 44. I believe in doing what I say I’m going to do. 45. I believe in maximizing my time while being fully present with others. 46. I believe in having a mentor / coach to help me get better. 47. I believe I have total control of my attitude. 48. I believe I’m always just one bad decision away from doing irreparable damage to myself and others. 49. I believe it’s my choice to be a “victim” or a “victor” when adversity strikes. 50. I believe grace is easy to receive and difficult to deliver. 51. I believe you can’t have love without truth. 52. I believe struggle provides opportunity for growth. These words can commonly describe most contemporary workplaces, but rarely do you hear the word servant used. That’s because of how easy it is to think of ourselves. However, this selfish mentality creates an unenjoyable workplace for everyone. At Huddle, our mission is to Serve Our Neighbors. We define our “neighbors” as not only our clients and affiliates, but we also make it a point to serve our co-workers. That’s right, the people that we spend 40+ hours per week with – the people that are a second FAMILY. We are not perfect at being servants. When I took over a team for the first time, I had never heard of ‘servant leadership.’ All I knew was we were responsible for hitting a number, and if we fell short, I would be the one answering for it. My first quarter as a leader was a crash course in how to lead incorrectly. I was not serving them the way I should have been. These two thoughts became the basis of our team over the past year. We were able to develop a team code based on Cheryl’s teachings, which led us to great success. I have also been able to identify my true leadership style, and will continue to practice this throughout my career. Almost immediately, each responded with someone who has impacted their life in an amazing way. So I will pose to you the same question – who in your life has acted as a servant? Would you consider doing the same for your team?